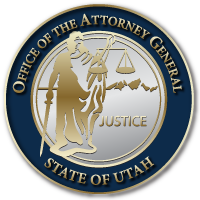 SALT LAKE CITY March 2, 2017 – The Utah Attorney General’s Office (AGO) announced today that AGO investigators, in a joint operation with local, state, and federal law enforcement partners, executed warrants to seize evidence of an alleged statewide enterprise related to illegal gambling machines. The operation identified over an estimated 500 machines or more at over 130 locations across the state. Tips about illegal gambling devices were reported by citizens to legislators, Utah Senator Curt Bramble, Utah Representative Justin Fawson, and Utah Representative Norm Thurston, as well as from other sources. The investigation is ongoing. Utah law requires prosecutors and law enforcement to prosecute illegal gambling in Utah where ever it may be found. The Utah AGO takes this legislative mandate seriously and appreciates all of the various law enforcement agencies who have collaborated in this case. The following link contains clips that the media may use for purposes of their stories, if helpful. Click here for video. Click here for photography. This entry was posted in Recent Posts and tagged gambling, Justin Fawson, leo lucey, Norm Thurston on March 2, 2017 .